He was raised in the West Duluth and Morgan Park areas of Duluth, Minnesota. Berggren, Kris. "Following Willard Munger's Trail." 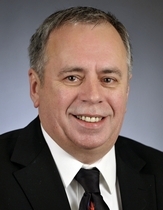 Session Weekly, St. Paul: Minnesota House of Representatives Information Office, February 4, 2011, p. 18.